The varying textures and contrasting colors of this Bengali recipe provide a visual feast for the eyes. 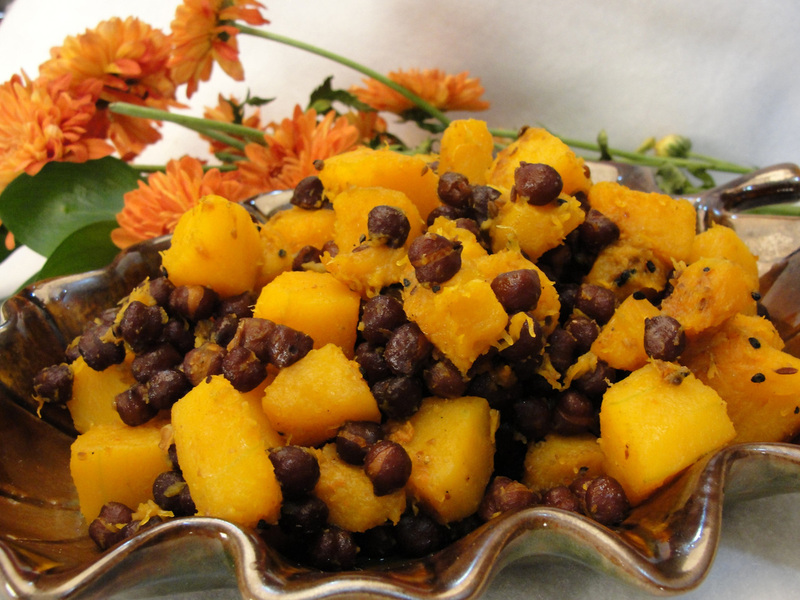 The sweetness from the butternut squash is perfectly balanced with the earthy goodness of the black chickpeas. This delicious and fiber-rich dish is sure to be a family favorite. 1. Wash chickpeas and soak in water overnight (minimum 8 hrs). 2. Rinse chickpeas and transfer them to a pressure cooker. 3. Add 3 cups water and salt (½ tbsp or to taste). 4. Pressure cook on high heat for 1 whistle (or 1-2 minutes after full pressure is attained), reduce heat to low and continue cooking for 30 minutes. 5. Remove from heat and do not open pressure cooker until all internal pressure is released.